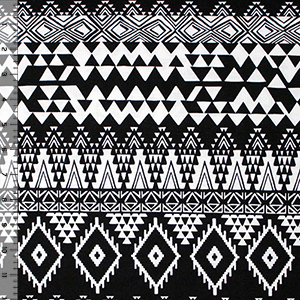 Stark black and white ethnic inspired design with triangles and stitched look diamond eyes on a white cotton jersey rayon blend knit. Fabric has a good stretch, and is light weight. Diamond eye measure 3" (see image for scale).